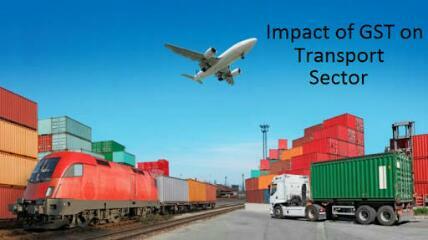 The transport sector stands to benefit from the recently rolled out GST in several ways. Pre- GST, the complex tax structure and paper work forced the transport industry to spend a lot of resources on tax compliance and deposit of interstate sales tax. Monitoring and collection of sales tax at interstate check posts led to major traffic congestion at these points, resulting in slower movement of freight and passenger, and consequently higher costs and pollution. An average Indian truck covers only about 50,000-60,000 km a year as against 3 lakh km done by a truck in US. The unified tax regime has obviated the need for inter state check posts. This will result in reducing the travel time of long-haul trucks and other cargo vehicles by at least one-fifth. This, coupled with the proposed E-way bill that will require online registration for movement of goods worth more than Rs 50,000, will ease the movement of freight further, and bring in more transparency in the whole process. Efficient freight movement will also boost the demand for high tonnage trucks, which will in turn reduce the cost of transportation of freight. A single GST also means an optimized warehousing structure. Earlier, companies had to maintain warehouses in every state due to different taxation slabs. GST does away with the need to have a separate warehouse for every state. This means a leaner and smarter logistics chain. This will also encourage more investment in the warehousing business. Pre- GST, the statutory tax rate for most goods worked out to about 26.5%. Post GST most goods are expected to be in the 18 % tax range . India currently has very high logistics cost – about 14% of the total value of goods as against 6-8% in other major countries. GST will serve to bring down the logistics cost to about 10-12 % by facilitating efficient inter-state flow of goods and accelerating the demand for logistics services. According to Shri Nitin Gadkari, the Minister for Road Transport & Highways and Shipping, India’s logistics sector would gain the most from the Goods and Services tax as costs would fall by almost 20%. He has also said that logistics parks are being set up at various places across the country to act as freight aggregation and distribution hubs. These logistics parks will enable long haul freight movement between hubs on larger sized trucks, rail and waterways. This will not only reduce freight transportation costs, but also throw open many employment opportunities and reduce pollution levels. The Ministry of Road Transport and Highways has prepared a booklet on the benefits of GST for the transport sector. Click here to see the booklet.